We love that you're part of the Tanoshi family so we're spreading the L ️VE. 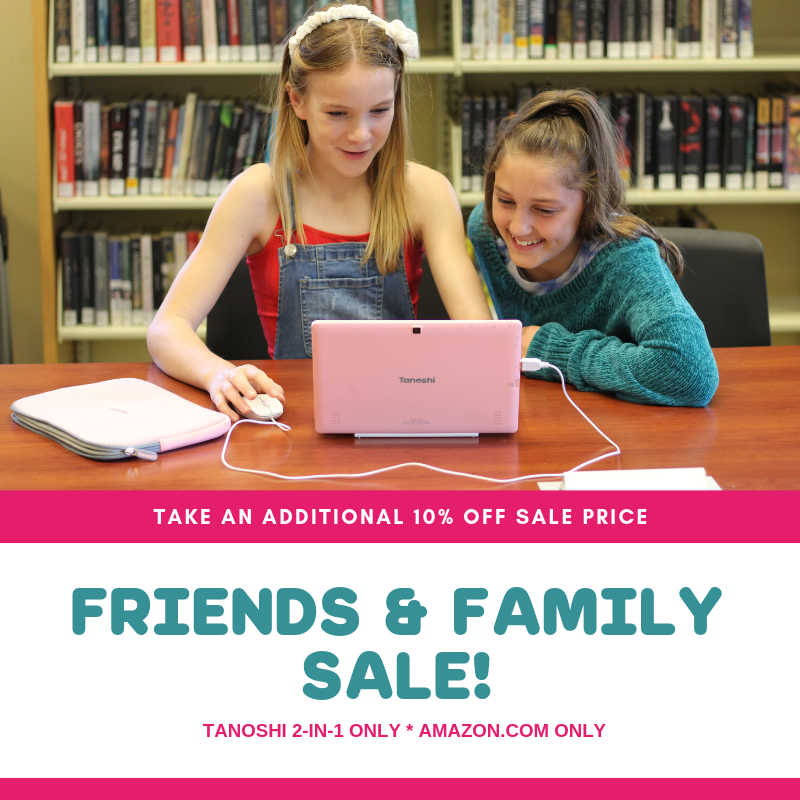 Learn more about the Tanoshi 2-in-1 Kids Computer here. Take A Look At What Parents & Teachers Are Saying! �Finally, an Android based kid friendly laptop/tablet that gives me peace of mind that my kids are *safe* exploring the internet and applications! I'm happy that I can control screen time, apps, and websites � from my phone.� ~Doan T.
�The perfect kids computer! Also when I had questions the companies customer service was excellent! I could not be happier with having purchased this for my almost 9 year old daughter.� ~Lily R.
�In this generation, it is important to start a child early in learning computer skills.